Parents and plebes, congratulations on your appointment to the Naval Academy. You will receive your Permit to Report package from USNA Admissions in April 2019, included will be the Critical Dates and Next Steps brochure from the Naval Academy Alumni Association and Foundation. Please follow the checklist in the brochure for the information needed to process your plebe and parent information along with membership and I-Day picnic registration. Thank you for providing the information, we look forward to welcoming you on I-Day, Thursday 27 June 2019! For the Plebe: LMAG: Life Membership in the Alumni Association by Graduation - please have your incoming plebe fill in this form, enclosed in the PTR Parent brochure and return by mail in envelope provided, we will process their membership request in the Alumni Association. Each plebe has the opportunity to finalize their life-time mebership in the USNA Alumni Association by the time they graduate! Parents Information Form: The Parent Form is critical to connecting your parent relationship to the incoming plebe record received from USNA Admissions. 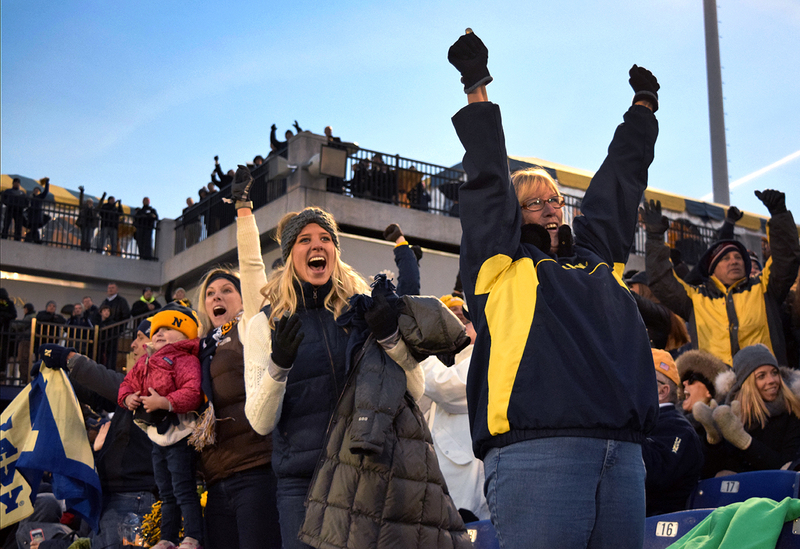 The information submitted in this parent form helps to establish communications and support for all current parents of midshipmen, offer important updates, information and announce USNA and Alumni Association events for USNA parents. This parent form is the only resource for midshipman parent information. There is a paper option of this form included in the Parent Brochure that can be returned with the LMAG by mail. *Your account profile with username and password must be active to register for the I-Day picnic and to join the Alumni Association as a member. Please allow 1 business day from submitting request for a username and password to process your request, thank you! (During peak times profile account registration may take up to 2 business days due to volumn- May/June). Additional Log-in Notes: If you are a current parent of a MID attending USNA - you do not need to create a new record, log-in, verify and update your existing record if needed. If you need your password reset click here for the log-in page and use the forgotten password for help. 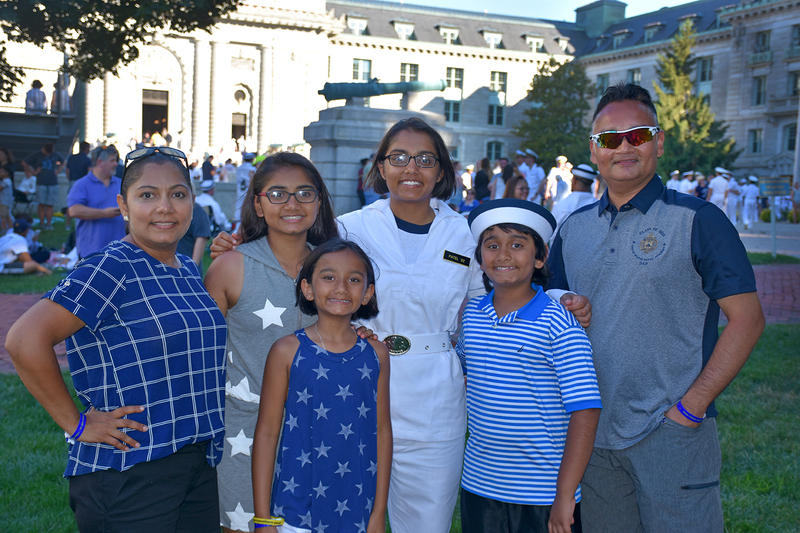 Parent Membership in the Alumni Association - we recommend parents join online before I-Day to not to miss out on any of the I-Day or plebe summer photos in our Photo Program! In 2018 we uploaded over 80,000 pictures to our Plebe Summer Photo Program for the Class of 2022 along with pictures of events and milestones throughout the academic year. Please vist the PARENT Dashboard to start you online account today, once account is set - up you can pay for membership and register for the I-Day Picnic. Induction Day Welcome Aboard Picnic - Great way to spend I-Day as your plebe processes into the Naval Academy. Great lunch on a waterside location. The picnic is open to all plebe parents, families and guests, with shaded seating to sit, relax and meet other plebe parents. *Incoming Plebes will NOT be able to attend the I-Day picnic due to in-processing in Alumni Hall, please do not register your plebe when signing up for the picnic. Picnic Menu: Pulled pork & chicken BBQ, beef hot dogs, potato salad, coleslaw, baked beans, watermelon, assorted cookies and brownies, soda and water provided. Picnic Lunch will be served from 11:00 a.m. to 2:00 p.m. and is located on Sherman Field at Hospital Point, across the footbridge from Alumni Hall. Price per person: Adults 13 and up - $20.00, children 5 to 12 - $10.00, children under 5 are free. Registration for the I-Day picnic will open in April of 2019. Don't miss the Family Information Expo Tent - the expo hosts community vendors, Naval Academy programs, Naval Academy parent clubs from several states, volunteer alumni and the staff of the USNA Alumni Association and Foundation. The expo provides program information, giveaways and introductions to Naval Academy staff and community partners, all to support incomimg plebe families in Annapolis. The Family Information Expo is free to all attending I-Day, located on Hospital Point next to the Picnic and will open at 9:00am on Thursday 27 June 2019. I-Day Videos - a look at past I-Day's and what to expect when you arrive at the Naval Academy for I-Day.